A fire Sunday morning in Northwest Washington, D.C., damaged studios for Fox News, C-SPAN and MSNBC, and forced “Fox News Sunday” to relocate its broadcast to a local affiliate’s studio. D.C. Fire and EMS tweeted that an electrical fire broke out in the 8th floor television studio but nobody was injured. 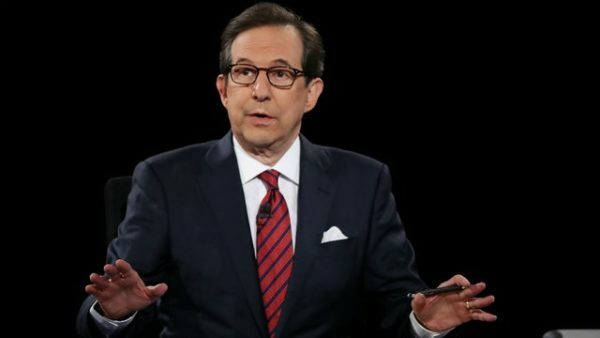 “Fox News Sunday” anchor Chris Wallace addressed the fire at the outset of Sunday’s program. “If things look a little bit different here today that’s because of the fact that we had a fire — yes, a fire — in our building on North Capitol Street, and so we’re over at our wonderful affiliate WTTG,” Wallace said. “We may not have a lot of the bells and whistles we normally have, but just take a little time travel and pretend you’re back in the 1950s and you’ll feel very comfortable about that,” he joked. Wallace noted the shift in venue multiple times throughout the broadcast. He thanked Vice President Pence for accommodating the change in location for his interview, and noted at one point that they did not have a video clip of Pence’s remarks last week about ISIS. C-SPAN tweeted about 11 a.m. that it had returned to normal operations. READ MORE WASHINGTON DC & US GOVERNMENT NEWS HERE.